Really I love a lot of animals, but I have a special kind of relationship with bunnies. 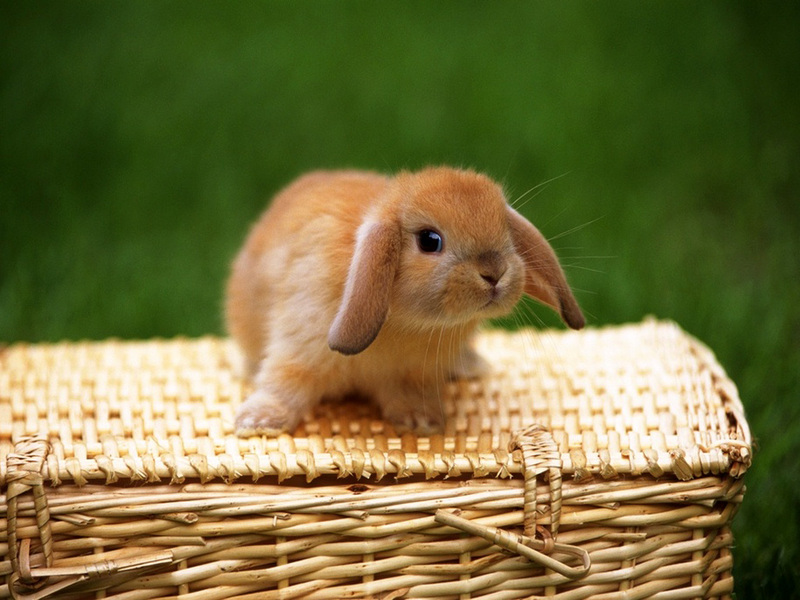 First off, I could snuggle a bunny till the end of time. No animal is quite as snuggle worthy as a bunny. Snugliness however is only half the nature of my special relationship with bunnies. The other half is that just about every bunny I see looks so tasty I could eat it. I don’t know what causes it. I have never eaten rabbit. A long time ago I got in my head that rabbit stew must be the greatest stew ever. Ever since then, when I see a cute snugly bunny, I not only want to bury my face in its fur, I also want to gut it and serve it for dinner. I know, I know. It’s horrible. I can’t help it though, and the good news is that I have no intention of harming someone’s pet. Domestic bunnies all over the world are safe from my sickness. I might break down and have me a wild rabbit stew one day, but I promise to go no further. So where does the squee come in? Well today I found a bunny that is so damn cute I can’t even imagine eating it. Eh. Just wait. There’s no meat on that one yet. Also, as someone who was raised with it, rabbit meat is okay. Fine and tasty and all, but definitely not worth gutting someone’s pet over. I just hope one day I get to find out. I think I would prefer wild to domestic anyway. I enjoy the wild flavor in commonly eaten wild foods. You underestimate the evisceration powers of an ethical vegan. Don’t eat bunnies! I love bunnies like more than anything! They are cuteness embodied. I can only promise to not eat bunny pets. Wild ones are fair game (pun wasn’t intended, I swear). I did a fair amount of deafening squeeing myself. I used to feel exactly the same about rabbit meat. Then, a few years ago, after moving to Europe, I had the opportunity to taste rabbit stew for the first time and believe me, it’s every bit as delicious as I imagined it to be! Whenever there’s rabbit on the menu, you can be sure that’s what I’ll be ordering. This does not spell good news for bunnies the world over.